Many of my fairly regular readers know that my dad passed away in December of 2013. Ever since then, I have been very much aware of people online and in life posting and talking about missing their deceased parents, every day -- even parents who have been gone for decades. I see memes about the "hole" in the lives of children who lost their fathers and mothers and I feel a mix of guilt and puzzlement, because I don't feel that way. boys' impressionable minds -- and mine. Should I feel slightly emptier without my dad in the world? Strangely, I feel just the opposite. I have long thought that people who have an extremely hard time with life after the normally-timed and non-tragic loss of their parents (that is, excluding those who lost their parents way too early or whose parents were eaten by escaped zoo animals) might be wrestling with regrets. I do miss my dad from time to time, but that is all. I sometimes miss his presence. For us, there was nothing left unsaid; there was no movie-plot father and son headbutting or dark competition between us. He loved and respected me and I knew it; I loved and respected him and he knew it. Like gold to airy thiness beat. I have never felt, yet, since the loss of my dad, like someone cut the line (to switch metaphors) between us or that it extends out into a kind of spatial forever. It feels like he is still on the other end. And every so often, he gives it a pull, just to remind me he is there. I don't really care if that is his call from heaven or if it is the remaining imprint of his presence in my life. It is as real to me as laughter, anxiety or...love. That line is made not just of paternal and filial love; it is wound up with our shared passion for music. When I compose, I feel his hand on my shoulder but I still enjoy the freedom from his concrete perspectives on art and music (one of those things that made my dad, my dad). I can still see his facial reactions to beautiful chord changes. I still feel the musical fire he helped light in me. 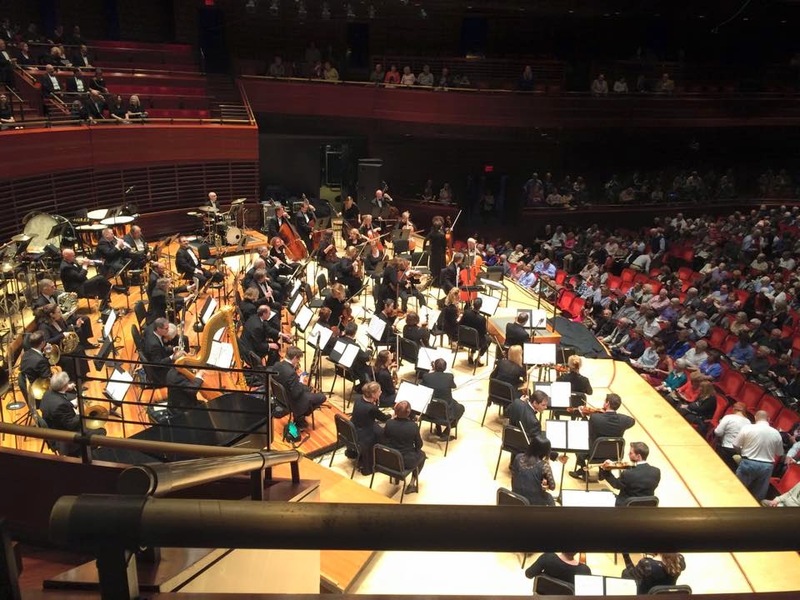 Last night, my family went to see the Philly Pops orchestra. 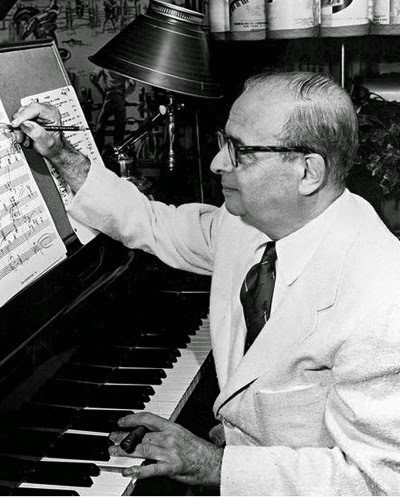 They did a program of film music, which we all love -- and that my father loved, as well, having developed as a composer during (what I like to call) the first golden age of film-scoring. As I sat listening (and watching) I heard my father's literal voice, in my memory. ["Listen -- look how the piccolo can cut through a full orchestra, like a needle threading through cloth; there are the French horns -- the 'glue' of the orchestra; dig: listen to the sound he gets with the horns and trumpet in unison and the trombones an octave below; people don't appreciate the viola's role in the orchestra enough; no synthesizer will ever get the texture of a full orchestra...] I saw evidence of the respect he commanded from his fellow musicians as I looked at the orchestra and saw several guys I knew -- guys who had hugged me or who had shaken my hand at his funeral; guys who told me what an influence "Joe Matt" had been. And I heard his artistic "voice" in the sublime harmonic direction of the work of his favorite film writer, Max Steiner, and in the beauty of John Barry's "Somewhere In Time" -- a record my dad had bounded up to my room with -- like he was the kid trying to impress me, instead of the other way around -- and played on my stereo ["John Barry's not afraid of melody..."]; music that left us both brimming with tears...with the shared understanding of the power of what he called God's voice on Earth. He was there with me, for sure. It was hard to speak without my voice wavering, but I did lean over to my boys and manage to whisper: "This was Grandpop's favorite film-writer" and "See that guy -- he said Grandpop was his mentor as a trumpet player..."
So, yes, I do sometimes miss his physical presence, but I'm living just fine without him. There's no "hole" in my heart with him gone. My heart is still filled with the things he put there or with the yield of the seeds he planted there. And every once in awhile, I'd imagine him sitting next to me at the concert, nodding at me with his "knowing" expression during certain chord-changes and orchestral swells and pointing to his chest, and saying, full-voiced and somehow visibly grateful: "Soul."